Sure you could fight those monsters solos, but why would you? 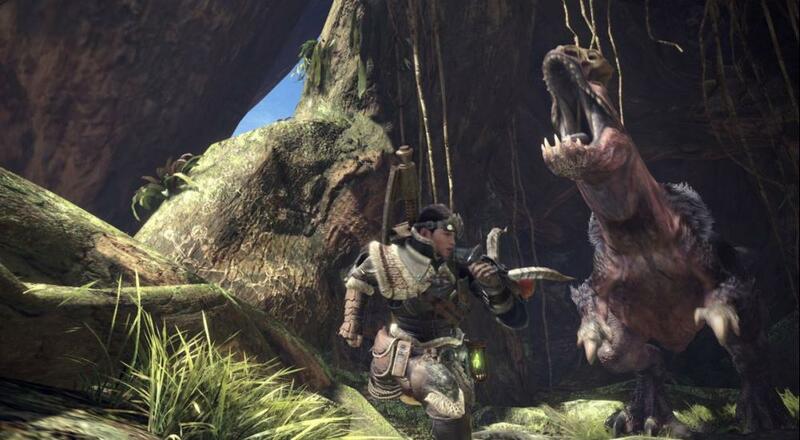 Last week during this year's Tokyo Game Show, some of the development team behind the forthcoming Monster Hunter: World took to Capcom's stage to show off a few of the key features of the title, including the character creation, some of the story setup for this new entry, and the free-roam/exploration mode. The entire presentation is 42 minutes long, and while they talk a lot about the overall features, there's really not any discussion of the co-op here. However, if you're interested in just knowing more about Monster Hunter: World, then there are plenty of goodies. You can see the full intro of the game starting around the 7:35 mark, the character creator in action around 9:45, a little discussion of some of the NPCs you'll encounter around 20:00, and jumping into action and showing off the new Exploration Mode around 23:00. After that, it's a whole lot of monster slaying/hunting. Monster Hunter: World will release globally on the PlayStation 4 and Xbox One on January 26, 2018. A PC version will hit sometime later.